15, 30 or 60 minutes of the best foot massage plus neck, back, hips and arms! Try your first 15 minutes for just $10. Fully customizable to your height and preferences. 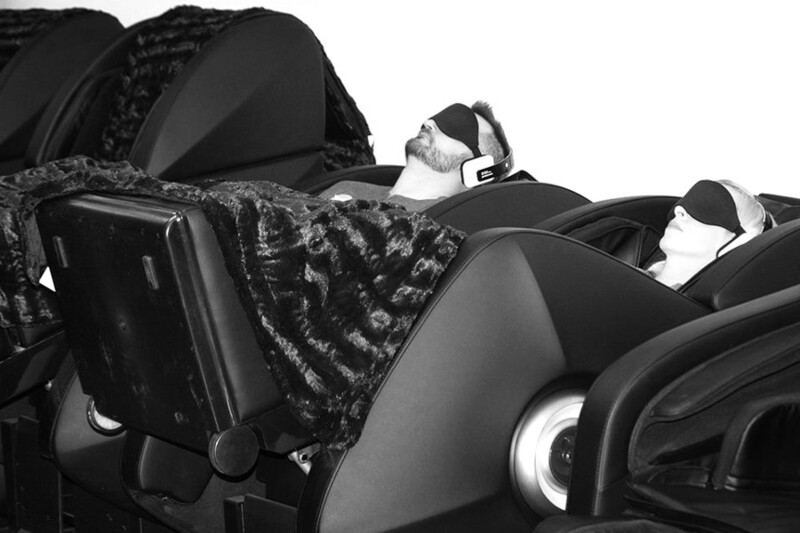 Enjoy a water massage experience with 21 jets massaging you from your feet to your neck. This 103° experience is certain to loosen muscles and promote relaxation. Great for couples! Experience so much, doing nothing. Floating is the absolute most relaxing experience. Our open tub experience allows you to float in 800lbs of Epsom Salt without feeling closed-in. Experience the therapeutic benefits of our Ultra-Low EMF, Infrared Sauna. Detox as you sweat in dry heat temperatures up to 150°. Great as a solo experience or up to 4 people.